I have good reason to write a few words on my joys and sufferings. Therefore I pray of you master, write it down. To which her master replied, “There is no need to write a liberation tale for you — a woman…you must be silent! These are the opening lines of the oldest known Tibetan female autobiography: Life of Orgyan Chokyi. 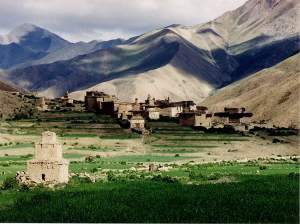 Orgyan was born in 1675 in the mountainous Dolpo region of Nepal and became a Buddhist nun/hermitess. She was unknown to the outside world until 1961 and I first came upon Orgyan’s story a few years ago through a French Tibetologist. When I received the photocopied translation from him, I knew I was holding something very rare. 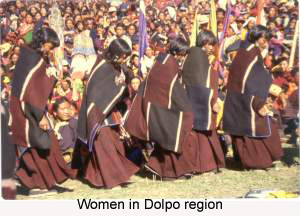 Growing up, I had heard the stories of Milarepa or Ling Gesar, but I had never heard stories of Tibetan women. When they did pop up, they were always the supporting actors (Milarepa’s mother, Gautama Buddha’s mother), but never the stars. As such, my female literary icons were always non-Tibetan: Matilda, Amelia Bedelia, and (shamefully, yes) Betty and Veronica. 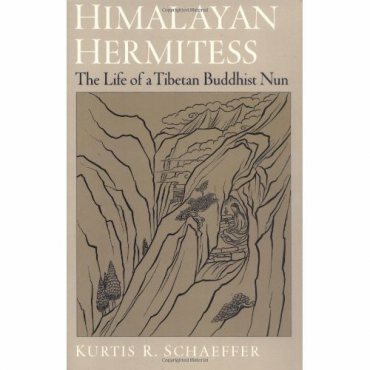 So, in my mid twenties, I finally read the story of a Tibetan woman, an autobiography no less. But I recall that as I read the Life, I was mostly just disturbed by how much she seemed to denigrate the female body. Humans, horses, dogs, all beings,/ Male and female all think alike,/ But the suffering of life comes to females as a matter of course./ I could do without the misery of this female life./ How I lament this broken vessel, this female body… This female body is itself samsara – the round of existence./ May I attain a male body, and keep the vows,/ May I never again be born in the body of a woman! “Broken vessel?” Err. 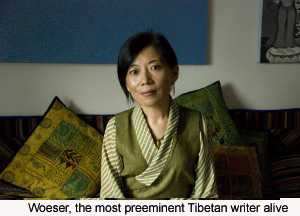 Part of me wanted to return to that old myth among us Tibetans: that women are treated fairly in our culture, that we are practically free of the fetters of other Asian countries. But I couldn’t really ignore what she was saying, could I? I mean, it had been literally handed to me. So then I wanted to be intellectually “generous” and say, “Hey, this is just evidence of internalized sexism.” Of course she wrote that. She was just confused, conditioned by her society. Then last year, I encountered Orgyan once again for a class (previously mentioned here). This time, perhaps because I was in the midst of some painful samsaric restructuring of my own and because I had also started writing my own book in earnest, I was deeply moved by Orgyan’s story. Just in the opening lines alone, there was such honesty about her struggles as a woman. And this account was made even more remarkable because she was forbidden to write it. Indeed, despite being illiterate and despite facing abuse and derision from nearly everyone in her life, Orgyan wrote her life story. From the very beginning of her life, Orgyan was reviled for her female birth. Her mother named her “kyilog” or happiness dashed because they had wanted a son. Her father beat her constantly. And like many women around the world who are treated as beasts of burden, Orgyan was often used as a human mule — worthwhile only as a worker. Orgyan left to practice the Dharma, but found she still couldn’t escape domestic duties as she had to cook, clean and be a servant for her master, performing her female role of a servant simply to survive and receive teachings. So yes, Orgyan suffered a great deal simply because she was a woman. But my previous interpretation of her writings as being derisive of her female form was mistaken. Her sorrow with her form is an existential one — one linked to the samsaric difficulties of being not only a sentient being, but a woman. She felt saddened because of the realities of a typical female life in her world. And isn’t it warranted? Women, by virtue of being the caretakers of children and the family alone, face much more hardships than men. We are tied to the samsaric circle of birth and death in a more profound way than men. Orgyan’s lamentation is thus not because women are necessarily inherently inferior. In fact, she laments men too. May I not be born again in a female body./ May the mare not be born as a mare./ The steed follows yet another mare./When I see the shamelessness of men,/ [I think:] May I born in a body that will sustain the precepts. She sees that men are shameless in chasing after women and as such, they don’t sustain the precepts for practicing the dharma. Orgyan wants to be reborn as a man, not because she thinks men are better, but because she will face less obstacles in becoming accomplished in the dharma. She will not be subject to the patriarchy of her times if she is a man, and not only this, she will be better than the men she sees around her. Left alone in peace to study, to meditate, to understand her true nature, she can gain accomplishment easier as a man. As in the case of religious women’s religious literature in medieval Europe, where ‘marginal and disadvantaged groups in a society appropriate that society’s dominant symbols and ideas that revise and undercut them,’ in the Life the goal of rebirth as a man is turned on its head. Orgyan Chokyi’s suffering as a woman allows her to see and teach more directly. If, as she states, the very nature of woman is suffering, then perhaps women know best about its nature and how to eradicate it. Seeing how I underestimated Orgyan on my first reading, I wouldn’t doubt that she was in fact a masterful feminist who subverted sexism while seeming to spout the misogynistic rhetoric of her time. I also don’t doubt that had I grown up reading her story instead of the epic saga of Betty and Veronica’s fight over a confused red-headed boy named Archie, I would have had an incomparably richer literary female role model — one that came from my own heritage. Later when I was dying, amazing omens of my death arose, and I thought, ‘I have been struck with the spiritual instruction of the dakini.’ The impediment of not being able to write disappeared, and I wrote. The impediment of not being able to write still exists for most Tibetans, though now it is due to the Chinese occupation. Still, many Tibetan writers of the past and present who have faced great hardships and defied their circumstances to write what they, like Orgyan Chokyi, felt could not be held inside any longer. Like Orgyan, they simply had to tell of their joys and suffering. I hope you will read their stories. Maybe you will even write one yourself.